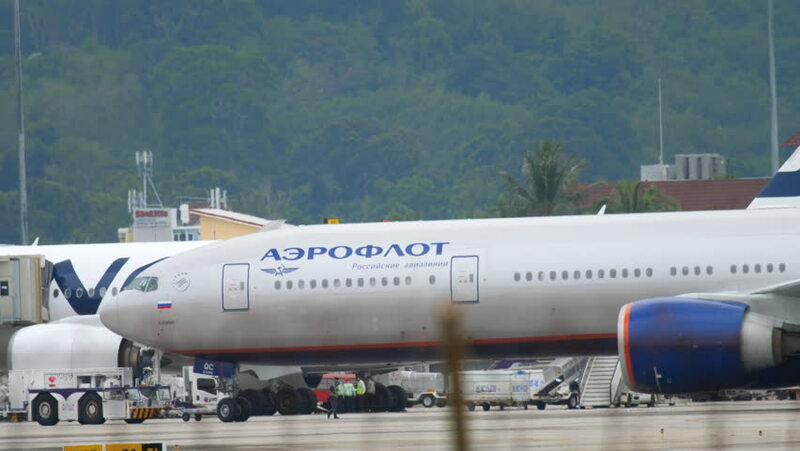 PHUKET, THAILAND - NOVEMBER 26, 2017: Aeroflot Boeing 777 VQ-BQC towing before departure from Phuket airport. 4k00:15PHUKET, THAILAND - NOVEMBER 26, 2017: Aeroflot Boeing 777 VQ-BQC towing before departure from Phuket airport. 4k00:17PHUKET, THAILAND - NOVEMBER 26, 2017: Aeroflot Boeing 777 VQ-BQC towing before departure from Phuket airport. hd00:28PHOENIX, AZ - April, 2012: An airplane taxis to a gate at Phoenix's Sky Harbor International Airport.